Anthropolgie and &Kloth are both now open for business across Main from River Park Square. But, while they may have been more talked about new businesses, another two are still coming and both coincidently are opening on the same day. They are.. The Seattle based pizza restaurant chain that creates personal sized pizzas in a Subway style experience is sweeping through the Inland Northwest. Mod Pizza has already opened for business on the South Hill ( Regal Plaza, by the new South Hill Target ) and Coeur d' Alene ( Crossroads at Coeur d' Alene, by Winco ). But, now there ready to open their newest location right in the heart of Downtown Spokane. The new Downtown Spokane Mod Pizza is easy to find, facing Main and also right by River Park Square ( 707 W. Main ). It's mostly notably the former home of Madeline's, which relocated a couple of blocks down to the newly renovated 400 block of W. Main. The Downtown Mod Pizza location will be just like the other local Mod Pizza stores will inside seating and carry out available. It will open for business at 12:00 Noon on Thursday, September 17th . During the grand opening the first 52 customers will get free pizza. Also, there will be a drawing for free pizza for a year, a retro photo booth and other Mod Pizza related giveaways. But, the big news on this grand opening is 100% of all pizza sales all day will be donated to Big Brothers, Big Sisters of the Inland Northwest. The business concept of drinking while being taught to paint is not a new idea for the area with a handful of these businesses already operating. But, what is going to be different about the new Paint & Pints is it will have a bigger focus on beer, with several craft beers and local beers on tap. Premium wines however will still be available. Paint & Pints also is not far away from River Park Square ( about a block and a half ) at 718 W. Riverside. 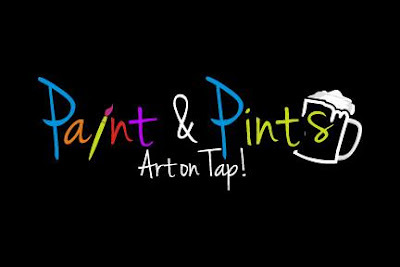 Paint & Pints will also open for business next week, with a Grand Opening celebration planned for Thursday Sept. 17th for 4:30 - 8:30 PM . The grand opening will feature a ribbon cutting and a open bar open house, a great way to check out the new place. Drink specials, free class drawings and huge discount on class bookings will be offered throughout the night.